The mortgage industry seems to have been largely left behind in the waves of technological innovation that have visited other industries. 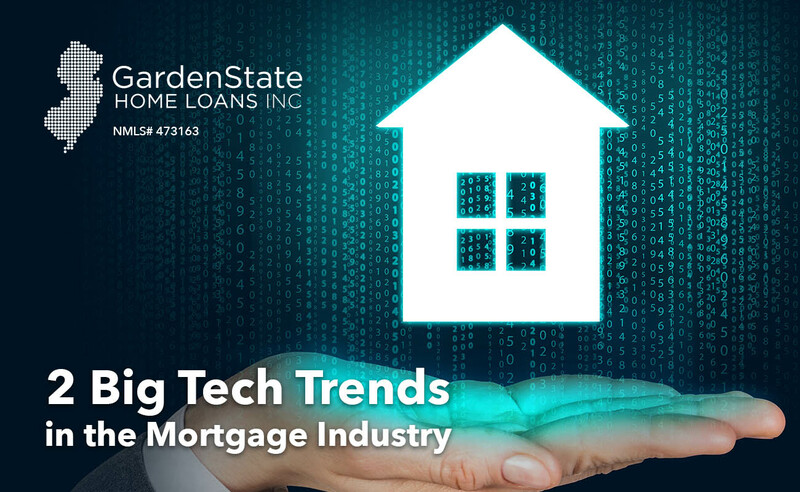 Two big mortgage tech trends, however, are poised to buckle that stagnation and upgrade the mortgage industry to the benefit of both borrowers and lenders. Technology has a tendency to simplify once-complicated processes, and its effects on the mortgage industry will be no different. Increased digitization will drive the mortgage lending experience to become more and more borrower driven, as mobile apps and other electronic platforms create a self-guided experience for the borrower. This self-guided experience removes the need for large paper trails and greatly streamlines the acquisition of information that is so essential to the mortgage lending process. Such changes will alter the nature of the borrower-lender relationship, placing the lender in much more supportive and less directive role. As the borrower navigates these online platforms, the lender will be there every step of the way to provide expert knowledge and quality support for the borrower. One area of technological innovation that is particularly exciting is the use of artificial intelligence (AI). Advancements in AI technology will no doubt bring dramatic changes to various industries, and these advancements will come to the mortgage and banking industries as well. Chatbots – AI-empowered platforms that simulate a conversation with the user – will be the primary way in which AI revolutionizes the mortgage industry. These chatbots will be able to extract basic information from borrowers and assist them in verifying their eligibility, getting rate updates, and calculating loan amount estimates. Chatbots can also act as a screen between borrowers and lenders, saving borrowers from wasting time and allowing lenders to weed out customers that they aren’t fit to help. The simplification of the mortgage process also entails increased transparency and clarity of communication. Borrowers and lenders will be interacting via one point of contact – mobile – and this point of contact will ensure that both parties are aware of any changes to the loan status in real time. These improvements to borrower-lender communication will also ease the lender’s ability to meet compliance requirements. A lender can increase his/her frequency of communication with the borrower, and at each step along the way acquire consent via e-signing and receive officiation through electronic and remote notarization. Increased automation and simplification will also decrease the need for manual tasks and reduce costs, enabling the lender to deliver the highest quality of service to the borrower. These trends empower borrowers to take greater control over their financial decisions and craft a mortgage experience that prioritizes customer needs at all times. Here at Garden State Home Loans, the experience is the difference. We are already committed to ensuring our customers have the best experience when working with us, and we will maintain that commitment as we remain at the forefront of these and other trends in the mortgage industry.